Perfect for Mother’s Day, this gift box is a perfect treat for mama’s. 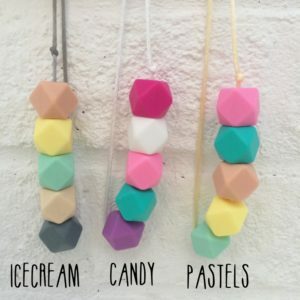 Our baby-friendly teething jewellery and ‘Hey! Mama’ print makes a super lovely package. Beautifully wrapped in one of our foil finish gift boxes. Perfect for Mother’s Day, this gift box is a perfect treat for mama’s. Our baby-friendly teething necklace, ‘Hey! Mama’ print and Kokoso Baby Coconut Oil (for super soft skin for mamas too) makes a super lovely package. Beautifully wrapped in one of our foil finish gift boxes. Please choose your jewellery colours and make a note of these at checkout. 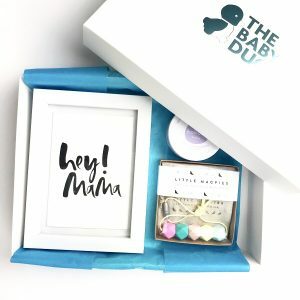 Perfect for Mother’s Day, this gift box is a perfect treat for mama’s. 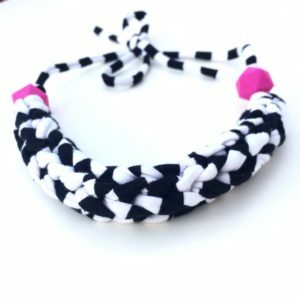 Our soft jersey knot baby-friendly necklace, teething bangle and ‘Hey! 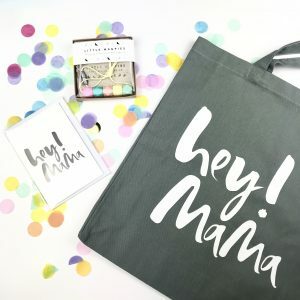 Mama’ print makes a super lovely package. These fabulous teething and nursing necklaces are a stylish and practical addition to any mums wardrobe. They are comfy to wear, washable and chewable making them very baby friendly. When worn by mum they work as a distraction for baby, to fiddle with and chew, to soothe sore gums and keep little fingers busy and out of mums hair. 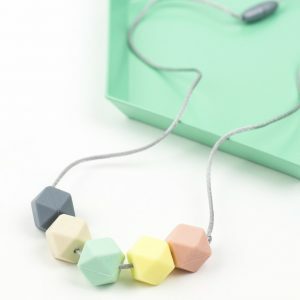 ‘Jesse’ necklaces feature five geometric food grade silicone beads on an adjustable (80cm) satin cord. 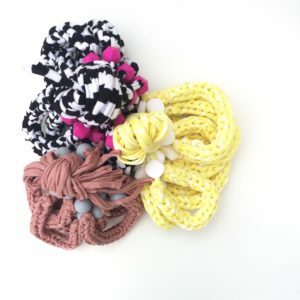 The cord is soft and strong and the clasp is designed to separate if baby pulls too hard on the necklace. This pastel colourway is really pretty and great for all season to add a subtle hint of colour to mums outfit. 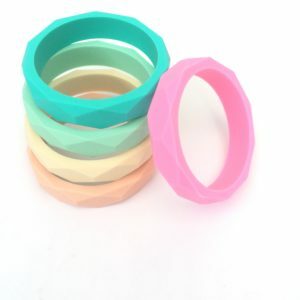 We have these gorgeous geometric silicone bangles in 8 different colours. Practical and pretty for mum to wear and safe for baby to chew and fiddle with. 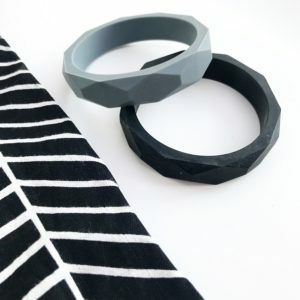 They are flexible and strong so baby can bend and tug the bangle without hurting mum. They are a must have for teething babies. These look great worn alone or layered together and withstand water, sand, food and anything else baby throws at you!